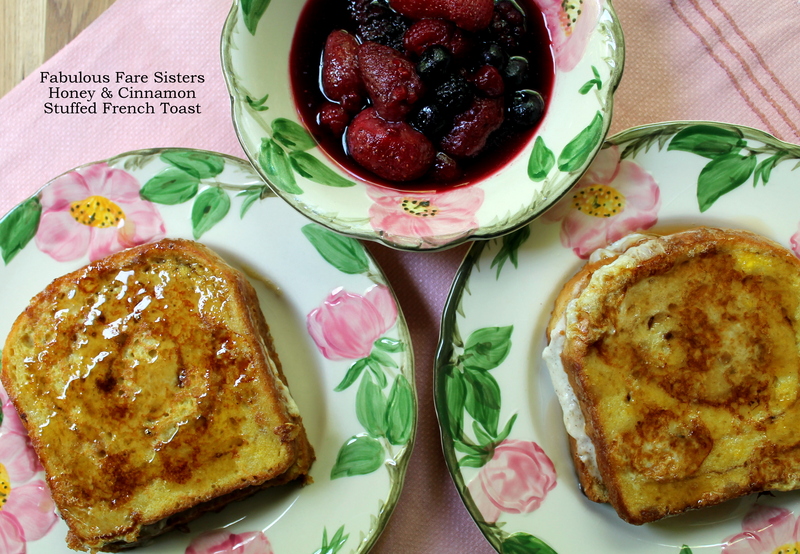 French Toast is such a yummy breakfast…here is an easy way to make it fancy! In a shallow dish whisk the egg with the milk. 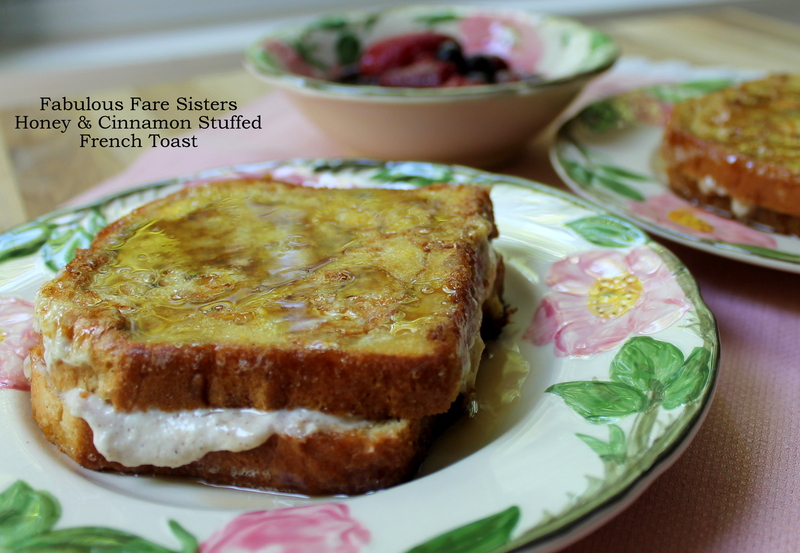 In a small bowl combine 1 tablespoon honey with 1/4 teaspoon cinnamon and 1/2 cup whipped cream cheese. Place the mixed berries in a small sauce pan; add 1 tablespoon water and a dash of sugar – bring to a boil, reduce heat and allow to simmer for a few minutes. Slather the honey, cinnamon & whipped cream cheese mixture on the inside of two of the bread slices; top with the remaining two slices. Dip bread into whisked egg mixture on both sides. Heat a skillet on medium high heat and drop a tablespoon of margarine in the pan – swirl it around until it covers the entire surface. Place the dipped bread slices into the heated pan and cook 2-4 minutes on each side until nicely browned and crispy. 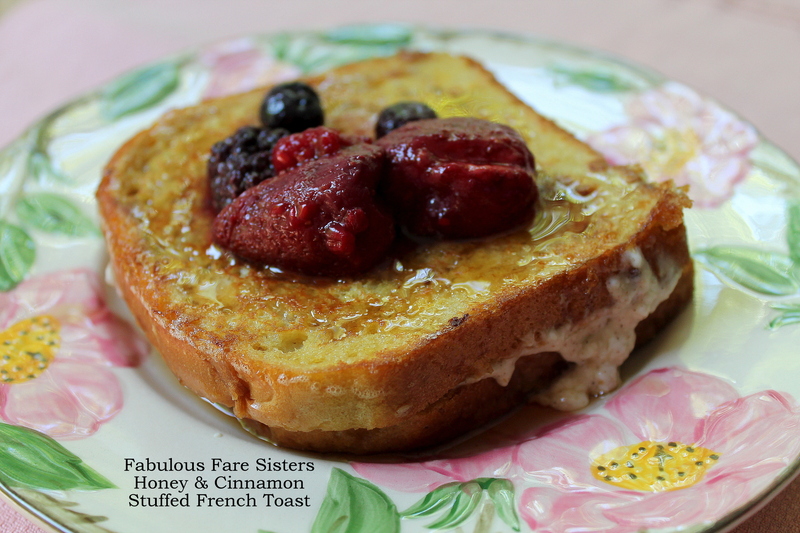 This recipe makes two Honey & Cinnamon Stuffed French Toast servings – adjust ingredients to make more. Serve with the mixed berry compote on top. Delicious! This recipe has been shared on The Pin Junkie and Fiesta Friday…go check it out then go visit some other great sites! I’d love to have this for my breakfast! Thanks for sharing at Fiesta Friday party! I would eat this toast every morning, looks incredible! Hello Linda, it looks really delicious. I should give it a try 🙂 Thank you for sharing! Total yum!!!!! I’ll take that lovely looking toast for breakfast any day!